The first teaser trailer for what is arguably Disney’s greatest film, The Lion King (1994), has dropped, featuring a very familiar voice. Disney has released the first teaser trailer for its upcoming The Lion King live-action remake and it is a thing beauty. While it obviously looks stunning, it is the nostalgia trip that will really hit home for fans. 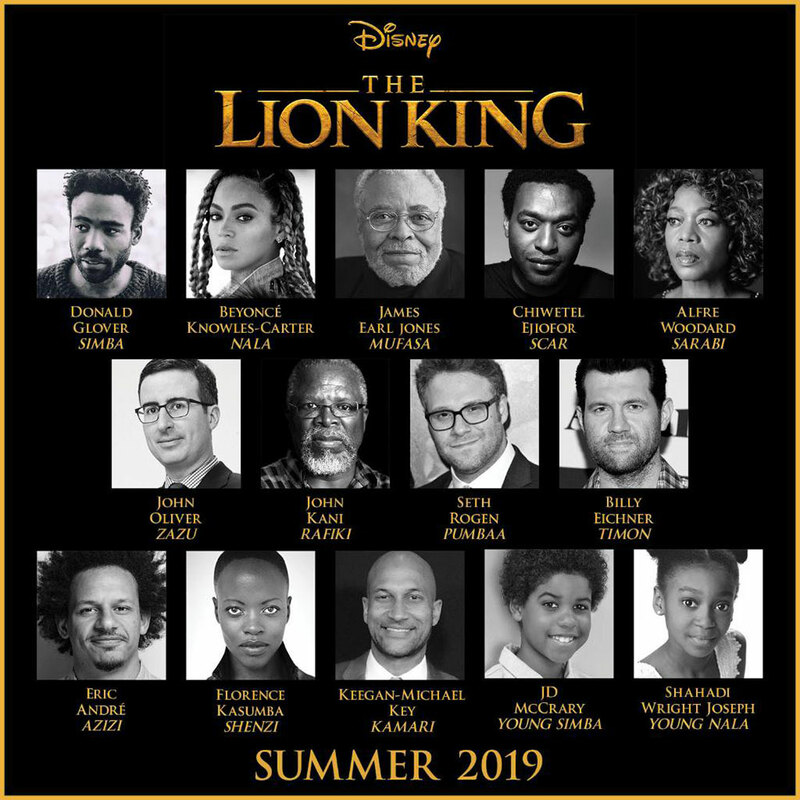 The teaser features some iconic imagery from the original 1994 animation, along with a powerful voiceover from the instantly recognisable James Earl Jones, who reprises his role as Mufasa. The Lion King was a huge success for Disney when it originally released over two decades ago, instantly entering the pop-culture stratosphere. Fans that were around to catch it when it released back then will be in for a treat here, and the film’s story and themes will resonate with a whole new batch of the current era’s kids. The Lion King marks Disney’s continuation of remakes of its iconic animated films, with Dumbo and Aladdin both also due out next year. Check out the awesome teaser below as well as an image that highlights the impressive voice cast of the film. Its directed by Jon Favreau and hits cinemas on 19 July 2019.